Week Seventy and I am ahead of myself this week. As it was half term, I managed to get a few days holiday at the end of the week and decided to devote Friday to baking and was super excited about it too! I sat with my usual cup of coffee and browsed Mary Berry’s Baking Bible and settled on her Irish soda bread recipe and the bath buns. I began with the bath buns recipe as it involves yeast and therefore rising time. I made the dough as per Mary’s instructions and left the dough in an oiled bowl covered in cling film. My kitchen wasn’t overly warm but I hoped for the best. After an hour, the dough had barely risen at all. I wasn’t sure if it was because my kitchen was too cool or the yeast pack past it’s best. I pondered for a while and turned the oven on low. I left the bowl on the oven door with the remnants of the oven heat coming out for another half hour. It didn’t really change. I kneaded it again and divided it into buns and put cling film over them and left them on the oven door which was still slightly warm. At this point I was rummaging through my cupboard. I found a newer pack of yeast and decided to make a second batch. I made the dough again and left it to rise. This time, it did rise but still didn’t double in size. I then divided the dough into buns and covered them with cling film and they did rise slightly again. I decided to bake both batches to see how they came out. The bun on the left is the second batch and the lighter smaller bun on the right is the first batch. Actually they both tasted okay but the second batch was better. I think I will ensure that I have really fresh yeast next time and ensure that the kitchen is warmer but I enjoyed making them and will probably make them again. 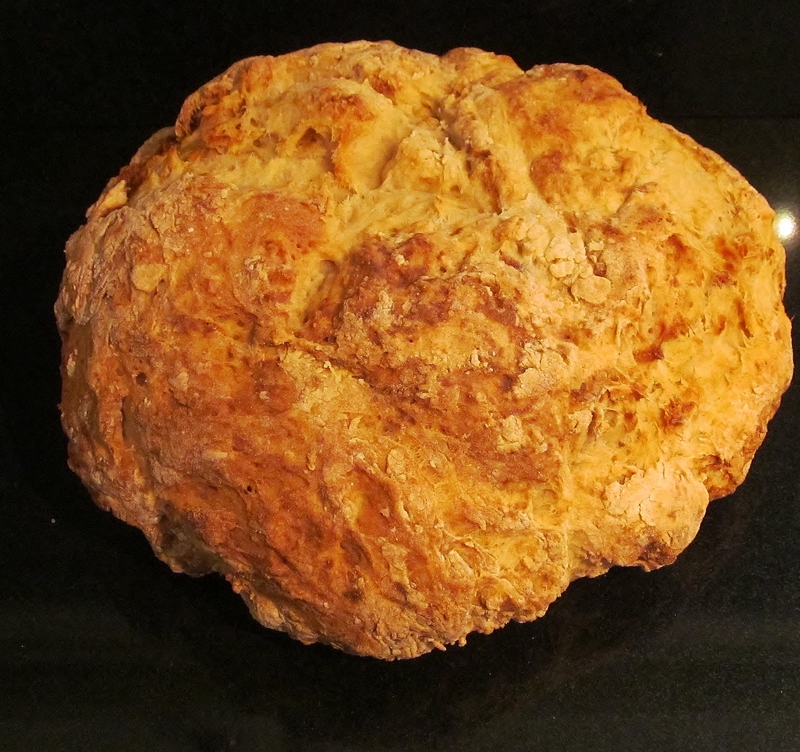 The irish soda bread in comparison was an easier bake. The dough was easy to make and no yeast or rising time to contend with. 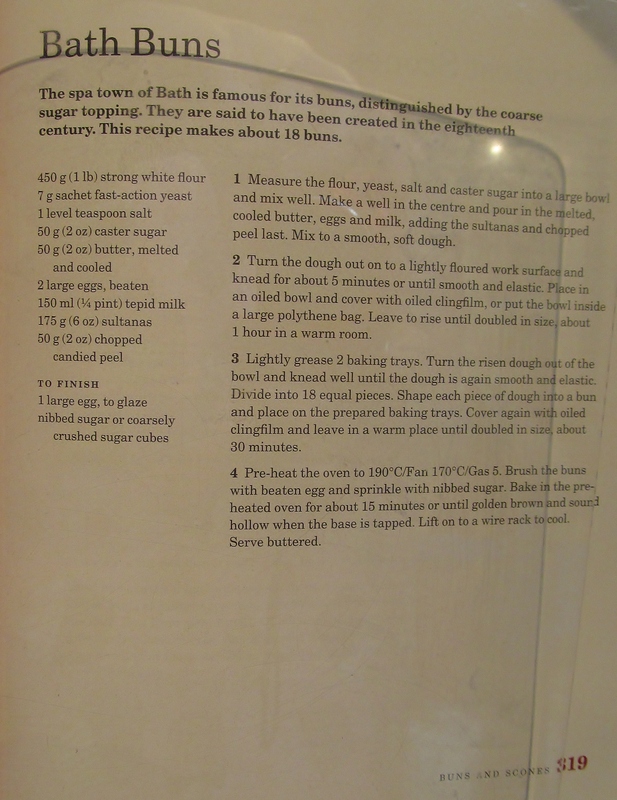 Mary tells you to shape the dough into a round and bake for about half an hour in the oven and then turn it upside down for about 10 minutes to ensure the bottom is baked- no soggy bottoms here! The result was a round rough looking loaf of bread. The weight of it compared to a normal loaf is astounding- really heavy. You could use this recipe to make bricks I think! Anyhow, as my other dad isn’t supposed to eat anything with yeast in it, he got the whole loaf to eat. I did leave him some bath buns too! 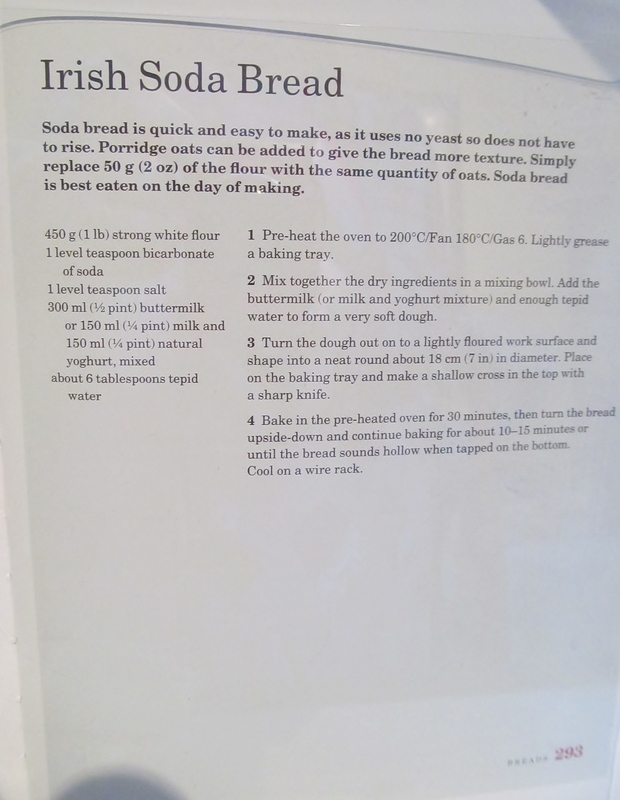 This entry was posted in Uncategorized and tagged Baking Bible, bath buns, irish soda bread, Kim's Bath Buns, Kim's Irish Soda Bread, kims cake challenge, Mary Berry, Mary Berry's Baking Bible, Mary Berry's Bath Buns, Mary Berry's Irish Soda Bread, sugar, yeast by kimsideas. Bookmark the permalink.